This morning I fitted a new leisure battery, supplied by the very helpful people at Bristol Batteries. It took me nearly two hours as the access is difficult working down in the engine ‘ole. We have three leisure batteries but the one that needed replacing was the most difficult to get at. It entailed removing the starter battery and two of the leisure batteries to get at it. This meant that I had to disconnect all the wiring and then reconnect it again at the end. Hopefully this will mean that we dont run out of energy by the evening. Whilst I was struggling with batteries Heddi washed, polished and waxed one side of the boat. In the afternoon Pam & Mark our son-in-law Simon’s parents came for a visit. We took them for a short cruise to Patch bridge & back. Pam had never been on a narrowboat before and the last time Mark had was in the 1970s. Jan & Mike visited in the evening and we went to The Bell in Frampton where I had an excellent meal of belly pork. The swan family are providing us with hours of entertainment. 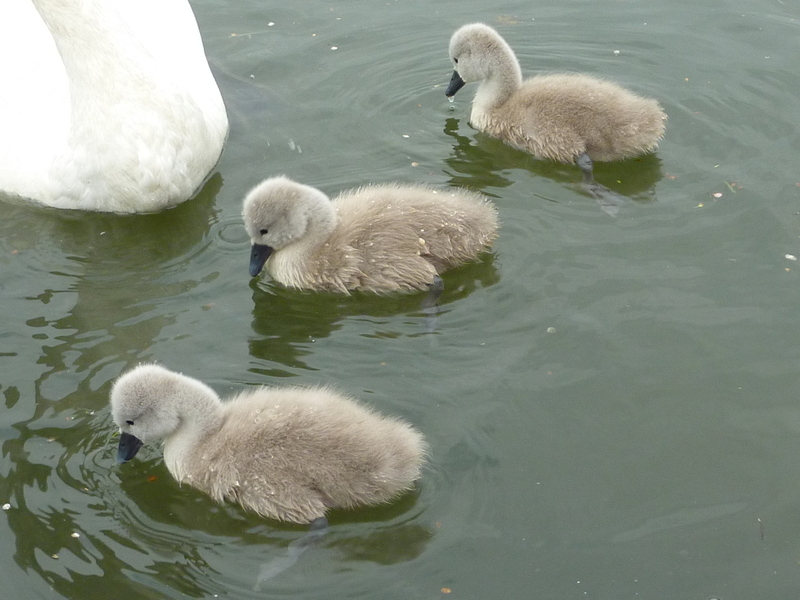 The little ones are gorgeous, how can anyone call them “ugly ducklings” ?